Earth - the near future. Humanity has all but been destroyed by a race of super-powered beings who initially offered to help mankind, but really intended to rule them. Those who fight back against the tyranny of the ‘Gods’ are nicknamed the ‘Ten-Seconders’ – so called because that is the average life expectancy given to those brave enough to battle the overwhelmingly-powerful opposition. 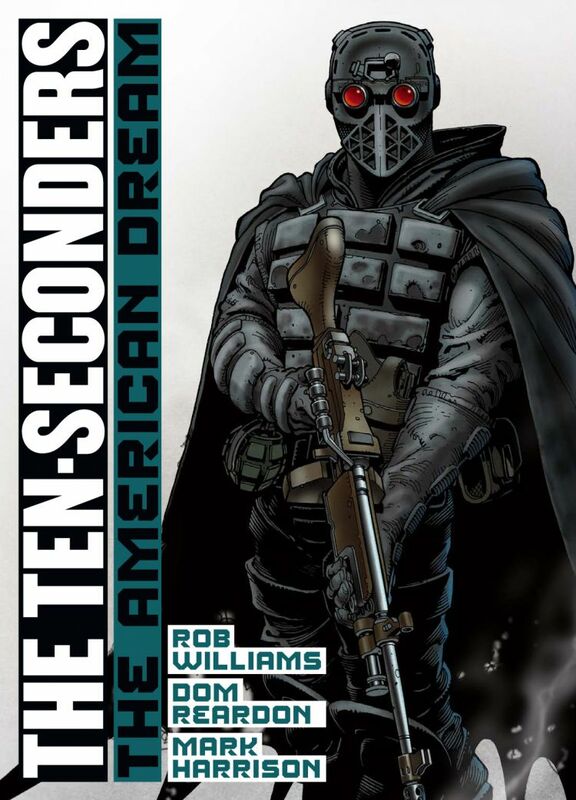 Written by Rob Williams (Low Life, Cla$$war), and featuring art by Mark Harrison (Durham Red), Dom Reardon (Ichabod Azrael), Shaun Thomas (Middenface McNulty) and Ben Oliver (Judge Dredd), The Ten-Seconders is an action-packed tale of super-powered mayhem!